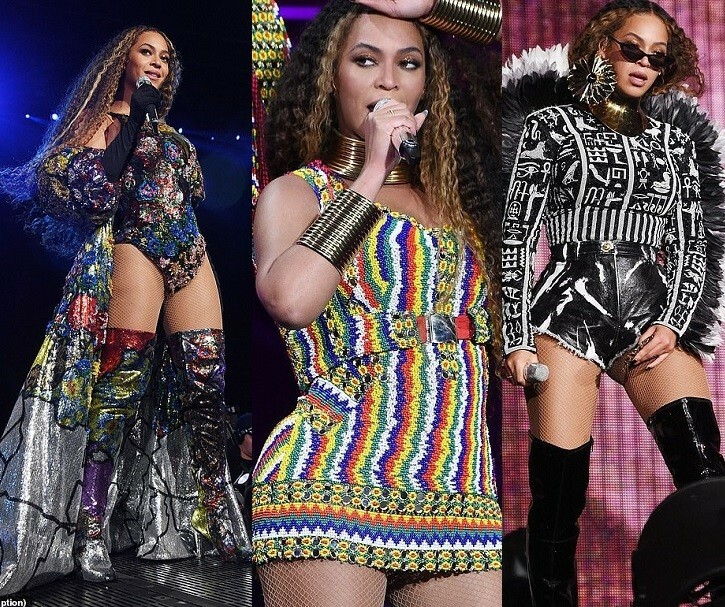 Pop diva, Beyonce perform at the Nelson Mandela charity concert on Sunday along side with her husband Jay-Z in six different outfits. Singer Pharrell Williams, Trevor Noah, Naomi Campbell and Oprah Winfrey were among those headlining the Global Citizen Festival: Mandela 100 at Johannesburg’s FNB Stadium. Beyonce rocked a spectacular embellished floral bodysuit for her first performance, before changing into other outifits. Pop diva made two appearances with her husband also shared stage with singer Ed Sheeran at the event.